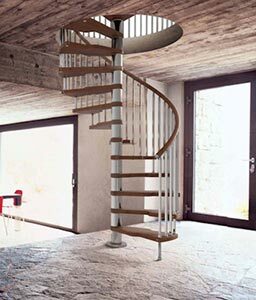 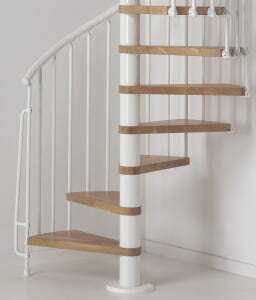 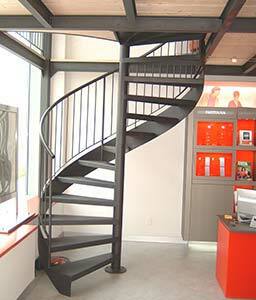 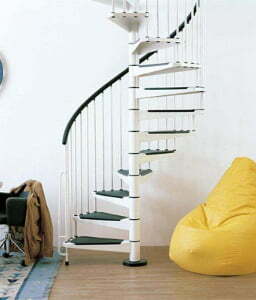 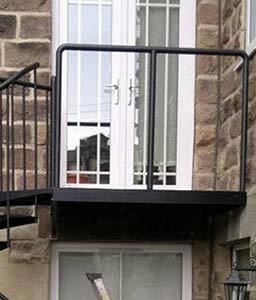 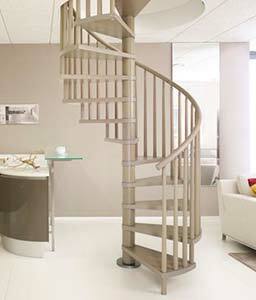 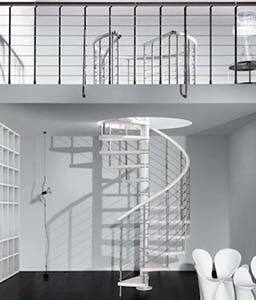 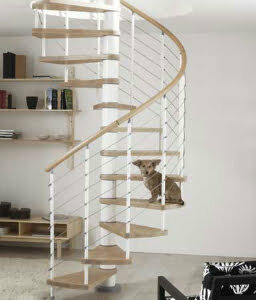 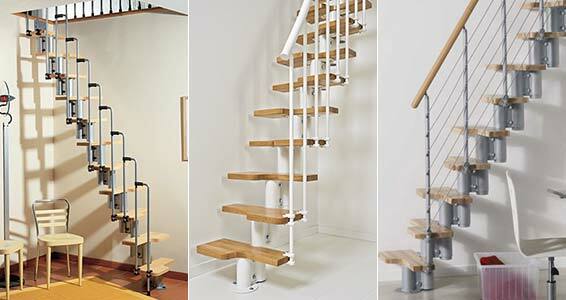 At Estairs we offer a large range of spiral staircases across many different styles and budgets. 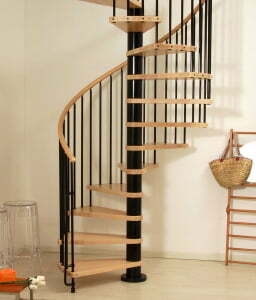 We invite you to browse through our range of spiral staircases that are available in wood, metal, glass or a combination of finishes. 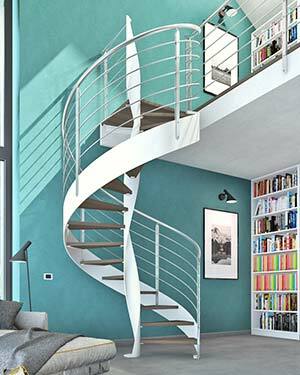 Spiral staircases are becoming increasingly popular given the great flexibility they provide a stylish finish while not taking up too much room and are highly versatile to homes where space is at a premium. 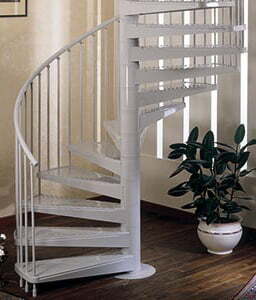 A large range of different combinations can also be achieved in terms of the landing styles including Circular, Triangular, Trapezoidal and Quarter. 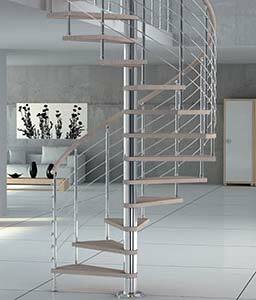 Mix in the different types of tread and the different rail finishes and the range is very impressive. 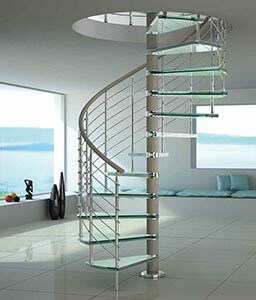 We supply some of the leading spiral staircase brands such as the Genius Spiral Stairs range, the Arke range of spiral stairs and the ever popular Mobirolo range of spirals. 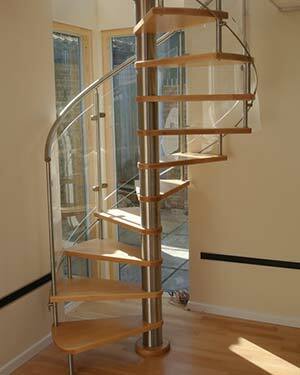 Please feel free to contact us on 0203 174 2502 to discuss any spiral staircases questions you have. 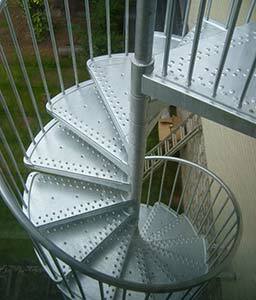 We have made navigating through our range of spiral staircases easier by grouping our staircases into different categories – Popular, Budget and Spacesaver Spiral Staircases, Outdoor Spirals and the Prestige Range. 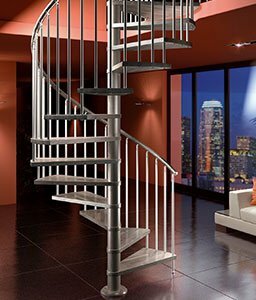 Full specifications and assembly instructions are provided throughout to showcase how simple it is to add a spiral staircase to your home.